Welcome! Over the last couple of years, I’ve done my share of theorizing about shows like Game of Thrones and Lost. Most of my writing has been about the show “24”. You might have seen this. Yes, I’m “that Steve”. When the show first aired on TV, Humorist and Author Dave Barry would “live blog” the show “24”, starring Kiefer Sutherland. A live blog means that the posting is continuously updated while the show was taking place. Dave would make funny comments about what was going on. People who followed Dave’s blog would post their comments in the comment section of that post and make each other laugh. We made fun of that show, pretty brutally at times. Now, don’t get me wrong, we all liked the show, it’s just that some parts of the show were just a bit too crazy. We were all big Jack Bauer fans. Anyway, one week, Dave said that he wouldn’t be able to live blog the show and left a placeholder post up so the regular crowd could write their comments about the show. In that posting, Dave also said that he’d appreciate it if someone could post a synopsis of what happened. Challenge accepted! I decided to post a nearly minute by minute summary of what was going on in the show, complete with my interpretation of what was going on, plus as many jokes as I could think of off the top of my head. I posted it a while after the show, in the comments section. People liked it! I was pretty happy about that because I wasn’t sure what they would think. The following week, I did the same thing, and people made some very complimentary things to say about what I wrote. The third week fewer people commented on it, so I figured that would be it. About the fourth week or so, I decided I wouldn’t post anything, thinking that it had all run its course. …Well!… I kept an eye on things that night, and after the show was over, people said: “Well, now all we have to do is wait for Steve to make his post.” Panic! I hadn’t written anything up until that point! Good thing I had the DVR recording so I could go back and write something pretty quickly. I posted an abbreviated version of what I usually wrote. I decided I was going to keep it up, and posted summaries for the rest of the season. I always wrote as fast as I could, posting that same night about an hour after the show ended. Jack Bauer has been captured by evil Chinese actors from a previous-season subplot and is being held prisoner on a Chinese freighter under horrible conditions. The only ray of hope is that Audrey is not on the ship. Of course, people posted their ideas of what was happening, and so did I. Dave ended up posting something like that every week for the next 24 weeks, and I wrote up a summary of an imaginary season of “24”. You can read those on my “24 – The Next Day” page. Season 6 started a couple of months later. Dave live blogged, people who read the blog posted hilarious comments, and I wrote up summaries. Near the end of Season 6, Dave asked if I wanted to write another imaginary season and if so he’d put up postings again. So, I wrote another imaginary season of 24, “24 – Two Days Later”. Season 7 happened in 2009, and Season 10 happened in 2010 – We all reconvened to do it all over again, even though they skipped a year. That appeared to be the end of it all. In 2014, there was a 12 episode movie “24 – Live Another Day”, which we all live blogged again. That was the last season Jack Bauer appeared. The mini-series “24 – Legacy” premiered in 2016, but since there was no Jack Bauer, the live-blogging ended. I wrote summaries for four seasons, one movie and created two of my own “24” seasons. That was about 156 summaries – and it was a lot of fun. 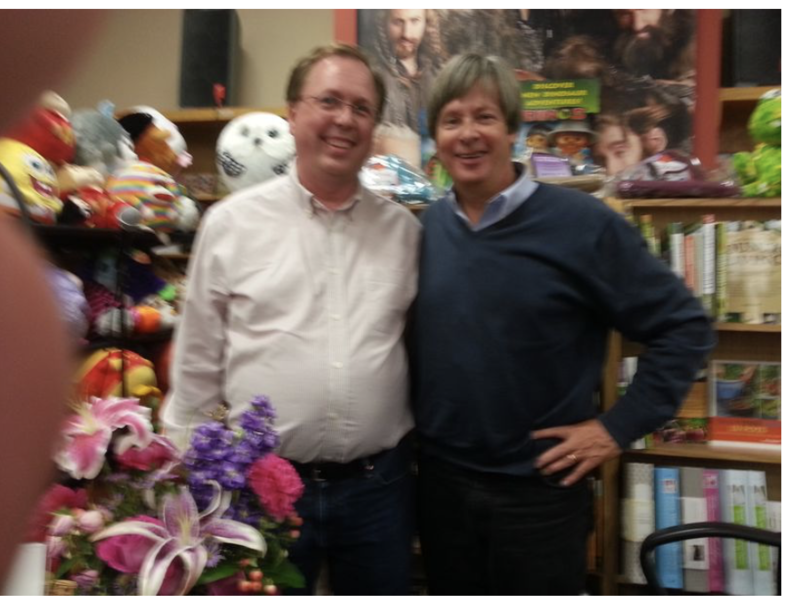 Thanks again to Dave Barry for doing the live blog and the encouragement. I’ve been working on other projects since then, including a very well received podcast segment for the World of Warcraft podcast “The Instance.” That character has it’s own Twitter account, which has far more followers than my real account. Fake me has more followers than real me! Go figure! I’ve recently started working on a book in earnest, and hope to have a completed draft done by the end of the year. We’ll see how that goes. In the meantime, take a look around the blog, and read those “24” summaries. If you go read these, I encourage you to find and watch the episode I’m summarizing first – it will make a lot of sense if you do. If you’re a World of Warcraft fan, check out the archives of the podcast segment, Ask Buxley.